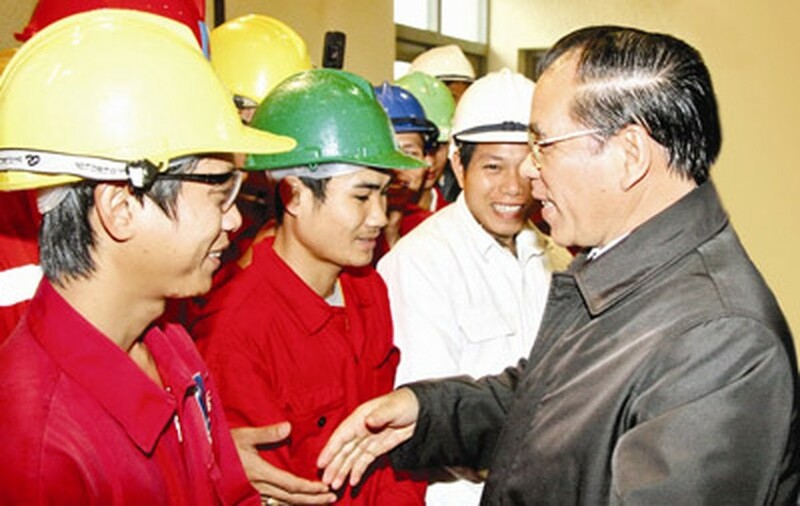 Vietnam Oil and Gas Group, or PetroVietnam, a strong economic group in Vietnam with hundreds of projects and tens thousands of employees, has acheived positive results from their campaign to “study and follow President Ho Chi Minh’s moral example”. Party General Secretary Nong Duc Manh talks to PetroVietnam employees. 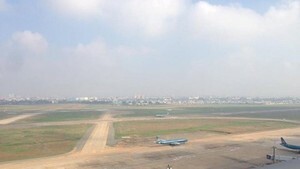 With the slogans such as, “bring into play heroic tradition,” “Dare to think, dare to do and dare to take responsibility,” and “Timely to decide and drastically carry out,” have inspired employees from city-based construction sites, deep forests, far-off mountains and islands to vigorously compete and follow President Ho Chi Minh’s moral example. Since the establishment of Vietnam Oil and Gas Group in August 2006, the operation of the group accomplished both intensive and extensive development, sales revenue and that has met and exceeded expectations laid out in the plan. The operations of PetroVietnam are not only limited to local petroleum exploration and production, but also stretch out to many foreign countries. PetroVietnam focuses on developing the most advantageous industries related to petroleum such as gas-powered electricity, oil refineries and petrochemicals, fertilizer production, bio-fuel production, and petroleum services, which the company has developed dramatically. The achievements have been made thanks to outstanding individuals, who have been role models in studying and following President Ho Chi Minh’s moral example. According to Dinh La Thang, Chairman of PetroVietnam, the study and adherence to President Ho Chi Minh’s moral example has become engrained in the daily lives of each cadre, party member and staff in their entire oil and gas industry. The group’s party committee always focuses on Ho Chi Minh’s thought on moral education, which is one of measures to ensure the Party unity and unanimity among manager staff and workers. With the determination, effort and unity of leaders and employees, PetrolVietnam will try to create advantageous conditions to boost its production and build the country’s oil and gas industry stronger, as well as to acquire enough modern technology to compete within the international market and contribute more efficiently to the country development. The patriotic emulation campaign to study and follow President Ho Chi Minh’s example has given leaders and employees a new lease of life, said chairman Thang. The campaign not only targets to provide motivational power, but also it also aims to support to production development, said a representative of party committee. Throughout the campaign, each cadre, party member and employee were able to understand clearly about Ho Chi Minh’s moral thought. Thus, members of the group completed all tasks and even exceeded production targets assigned by the Party and Government. Between 2006 – 2010, the industry listed 245 groups and 1,680 individuals, who have been role models implementing patriotic emulation. 258 scientific research works and over 1,400 initiatives have been recognized as exemplary. 739 initiatives on improving technology have been recognized as helping the country profit by more than US$69 million. The group also saved the nation VND2,570 billion ($128.5 million). The future of the oil and gas industry depends on tens thousands of employees, who are hard working, smart and patriotic and who do not hesitate to go to far places to complete major projects. Thanks to them, the industry is fully confident that it will continue its course of development and play an important role in the country’s economic future.